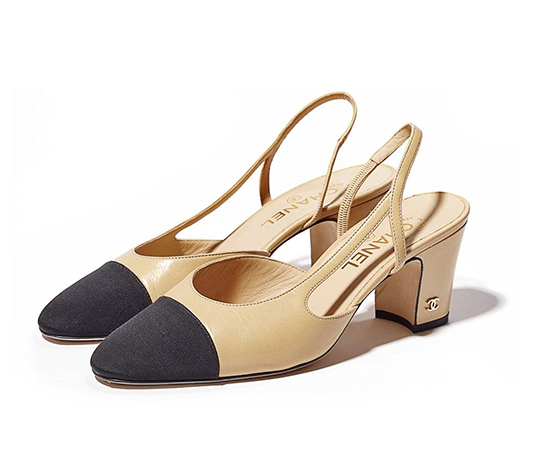 The Chanel Cap Toe Slingback Heels needs no introduction at all -- they're the most classic shoes from the most classic fashion house. 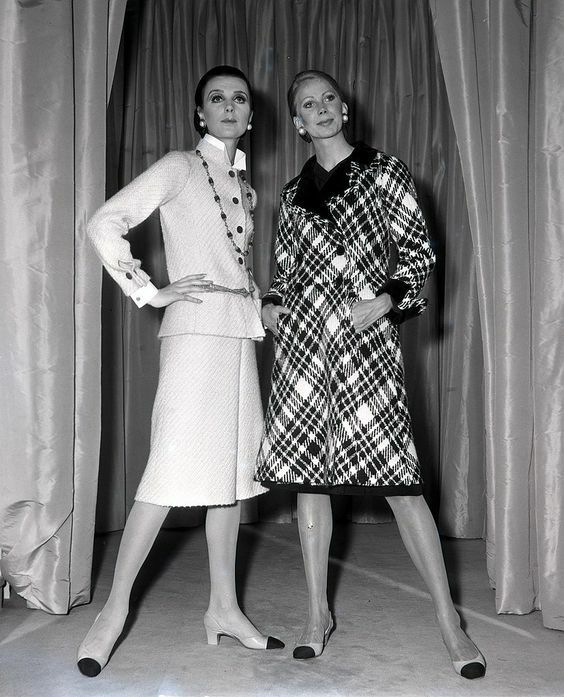 The original Chanel two-tone shoes were introduced by Coco Chanel herself back in 1957. She called them "the height of elegance". Karl Lagerfeld brought them back to life in 2015 and they became everyone's wishlist ever since. The cap toe style is as practical as it is flattering to anyone because the beige color lengthens the leg while the black toe cap shortens the foot. These Baton Heels are hands down the perfect dupes for Chanel Slingback Heels. They look almost identical with the Chanel ones. The price tag may be a bit higher but if you are not going to invest in the Chanel Cap Toe soon these heels can last you for years and won't go out of style. Leah Cap Toe Pumps looks a bit different than the Chanel Slingback style -- they have closed back. They are more of a Chanel inspired style rather than a dupe. A lot of people love them because they are not the exact copy of Chanel Slingback. This is the most affordable pair in this post. Even though the color of these Zara slingback heels is darker than Chanel Slingbacks, they are still a pretty good option for the color-blocking style slingback. The low price makes them perfect for someone who is just trying out this kind of style. For someone like me who just love pointy toes, the Karen White Life Slingback looks even more beautiful than the Chanel Cap Toe Slingback. The heart shaped opening gives the style a sophisticated look. 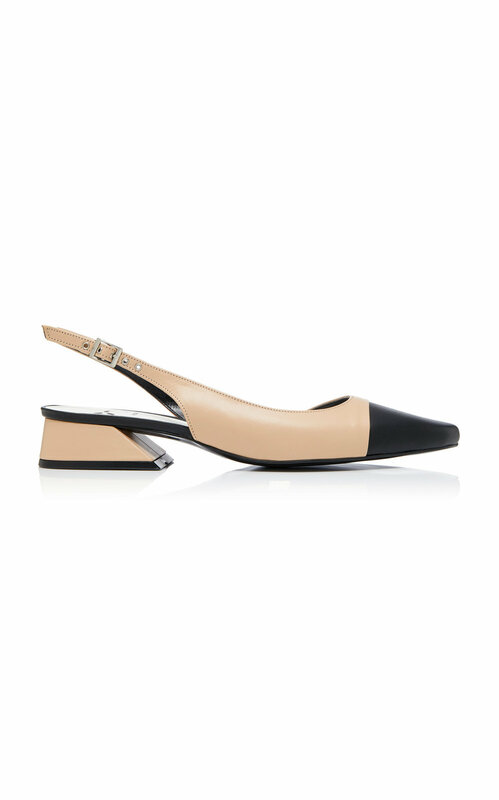 Aliz Slingback Pump is also a popular choice for Chanel Cap Toe Slingback. The only thing is that the front of the shoe is slightly elevated. It is not a huge problem but I do prefer the style of Chanel Cap Toe which the front is touching the ground. 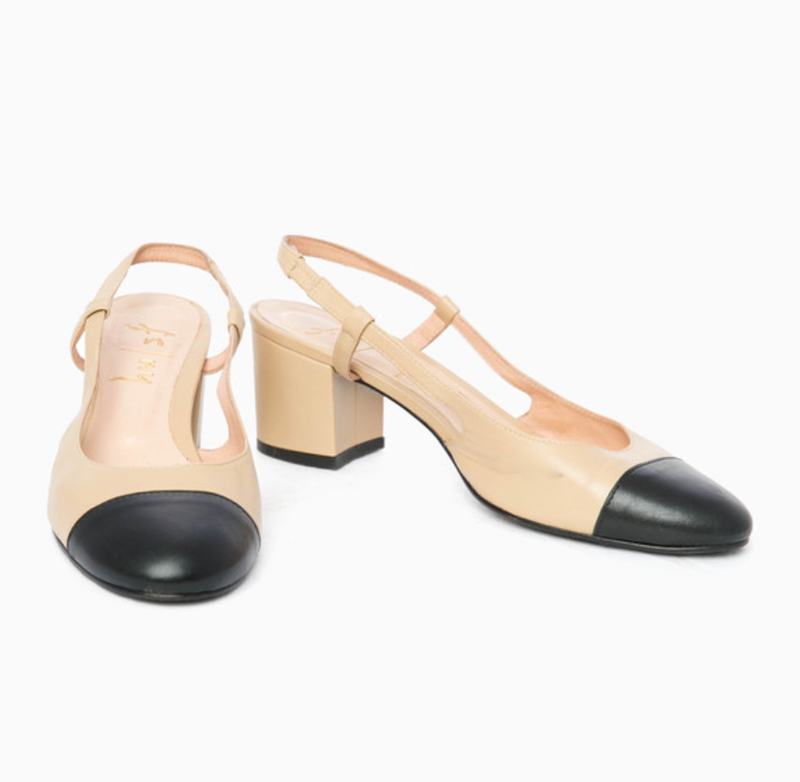 The last but not least, Yuul Yie Two-Tone Leather Slingbacks are the Chanel Cap Toe with an attitude. The asymmetric squared toe and unique shaped heels make them stand out from all the other dupes. If you think Chanel Slingback can be a little bit too feminine, this pair is your choice. They are full of character and can add an edgy touch to any outfit. There you have it! Six dupes for the Chanel Cap Toe Slingback. Which one would you like to try? Check out Designer Shoes and Their Dupes #1 Gucci Loafers. Stay tuned for more designer shoes and their dupes! Apr 23 Red and Black Outfit - Is It Too Much?